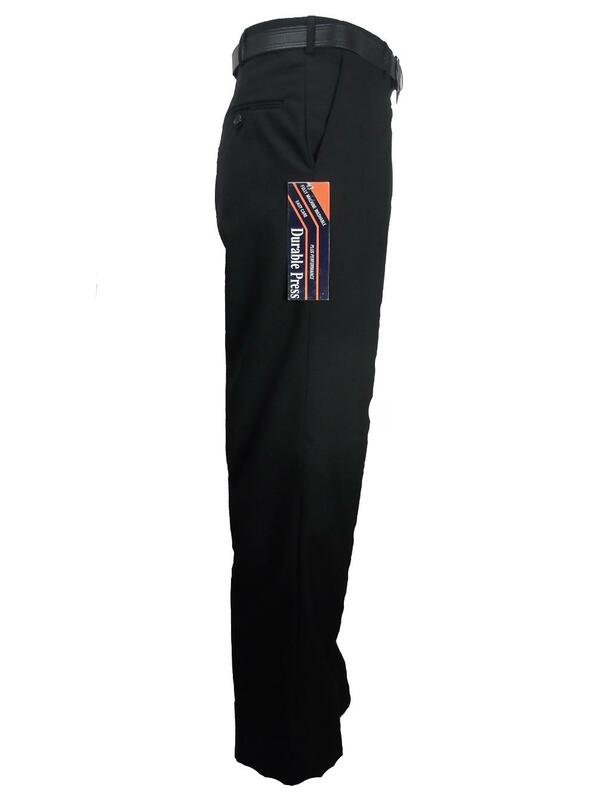 Ideal as a hard wearing work trousers, it's classic styling of 2 side pockets and 1 button fastened back pocket make this suitable for all ages. Made in 65% polyester & 35% viscose this product is easy care and can be machine washed and tumble dried which is just what you need from a work trousers. The self adjusting waist also makes this product very comfortable to wear. Belt included.